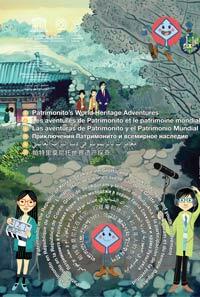 World Heritage Education Programme is pleased to announce the release of "Patrimonito’s World Heritage Adventures" cartoon series. The mentioned episodes are dedicated to celebrate the 40th anniversary of the World Heritage Convention. 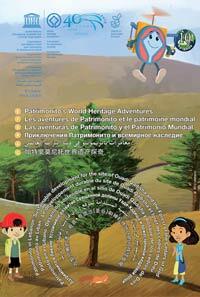 "Patrimonito in Lebanon: Sustainable Development for the Site of Ouadi Qadisha and the Forest of the Cedars of God", was produced in 2012, based on a storyline from the Patrimonito International Storyboard Competition 2010/2011. The episode focuses on the importance of sustainable development, and encourages young people to protect the World Heritage. “Patrimonito in the Republic of Korea: Seokguram Grotto and Bulguksa Temple and Youth Involvement”, which has just been completed, highlights the role of youth in World Heritage promotion and preservation. The episode is based on the winning storyboard from the 2012 Patrimonito National Storyboard Competition in Republic of Korea.